New Batwoman bishoujo statue by Kotobukiya and DC Comics! This brand-new Kotobukiya Japanese import is absolutely to die for. We’re proud to introduce the gorgeous Batwoman designer bishoujo statue, rendered in exacting detail and with amazing aesthetic attention that will make it the centre of your collection. Check out Kate Kane from 2006’s 52 #7, next in the line of DC Comics superheroes and supervillains to be styled according to the Japanese bishoujo tradition. Renowned illustrator Shunya Yamashita spearheaded the design of what would become this 10-inch-tall or 1/7 scale figure of the Bat Family’s most elegant member. Choose between her masked appearance with a wig of long tresses, or an unmasked look with short hair. Hand outstretched and holding her cape, Batwoman is outfitted in a black-and-deep-red-themed bodysuit, boots, utility belt, gloves and cape. Snap up this beautiful statue while it’s available! You asked for it! Here’s a reprise of the wildly popular Marshmallow Man coin bank, where the soft, sugary madman himself has been transformed into something both practical and eye-catching. Perch him on your favorite shelf alongside your other Ghostbusters collectibles — no one will know that he’s hiding your secret stash of laundry money or helping you save up for that weekend getaway. The Marshmallow Man stands 10 inches tall and sports a maniacal grin, bent on destruction. Honestly, a spooky apparition has never looked so adorably disarming. So, who ya gonna call? This Sunday, head over to the 11th Annual Action Figure Expo to get your collecting fix in the GTA. This show will have tons of cool stuff going on, including several special guests. Former professional wrestler Rocky Johnson (the father of Dwayne “The Rock” Johnson) killed it on his own part in the 1970s and 1980s, and he’s here now to help you relive some WWF memories. Principal and seminal writer for the G.I. Joe comic-book franchise (and writer for other series such as Wolverine and Elektra) Larry Hama will be signing autographs and greeting visitors all Sunday. It’s the G.I.’s 30th anniversary this year, so what better way to celebrate? The show will be held on September 28 at the Delta Meadowvale Resort and Conference Centre (6750 Mississauga Road, Mississauga, Ontario) from 10 a.m. to 4 p.m. There’s free parking, and bring a toy donation for Toys for Tots if you want to get in early. The show will feature a huge selection of vintage 1980s toys, as well as all that’s hot now from the franchises of Masters of the Universe Classics, Star Wars, Transformers and the like. Can’t make it to this one? Make note in your calendar of the Ontario Collectors Con on January 26, 2015. Don’t miss these important chances to connect with other collectors and industry heavyweights! 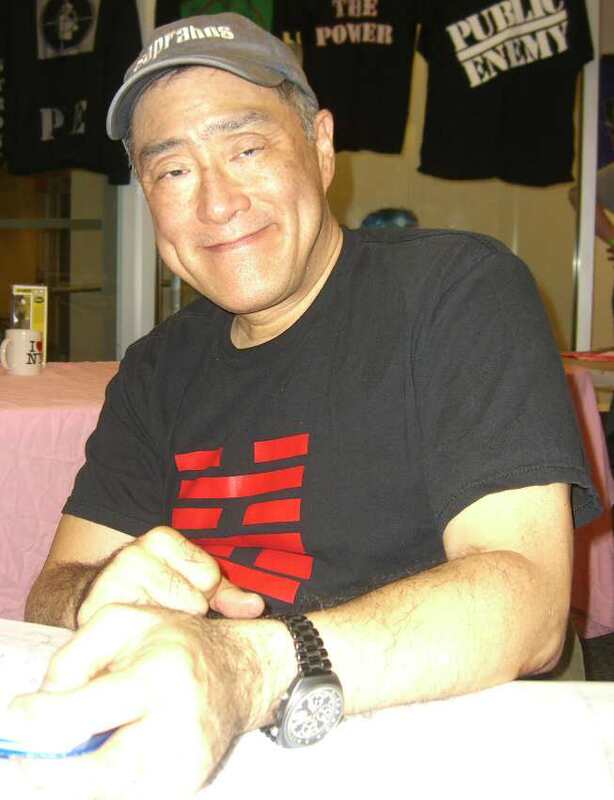 Larry Hama, American comic book artist and writer for the G.I. Joe franchise, will be meeting fans in Mississauga on Sunday. 80s Toy Expo are very pleased to have voice actor Alan Oppenheimer, best known to fans of the ’80s for his voice work as Skeletor, Man-at-Arms and Mer-Man from Filmation’s cartoon He-Man and the Masters of the Universe, to the 2014 80s Toy Expo. He is also remembered for his roles as Warpath, Seaspray and Beachcomber in The Transformers. Mr. Oppenheimer will be available all day for autographs and photos. The show features a huge selection of vintage 80s toys and all the latest releases from today such as Transformers (vintage and Japanese imports), Super Heroes (Marvel Universe/Legends, DC Universe etc), Star Wars (new and vintage), GIJoe (vintage and modern), Masters of the Universe (vintage and modern), Wrestling, and tons of other Action Figures and collectibles. Like 80s Toy Expo on Facebook and follow 80s Toy Expo on Twitter for the latest news on this event and a chance to WIN FREE TICKETS! To get more information check out http://www.80stoyexpo.com and RSVP to the Facebook Event. The 2014 80s Toy Expo will be Sunday, May 4th (2014) at the Delta Meadowvale Resort and Conference Centre- 6750 Mississauga Road, Mississauga, Ontario with FREE PARKING. This is a friendly Friday night reminder that the Montreal Toycon is less than 48 hours away! If you’re in Montreal this weekend, get down to the Courtyard by Marriott THIS SUNDAY THE 3rd to get your hands on everything from Transformers to GI-Joe figures, Sideshow Toys to Kotobukiya, DC Direct to Marvel Legends! No matter what you’re looking for, there’s a good chance it’ll be on sale from one of the 30 different dealers taking part in the show! Naturally, we at CmdStore.com and ToysonFire.com will be there, selling a ton of the latest and greatest toys, plus some items for vintage and retro fans! For more info, check the ToyCon Website, but here’s the quick rundown of what you should know! The 10th annual Canadian Action Figure Expo returns to the Sheraton Parkway Toronto North Hotel – 600 Highway 7 East, Richmond Hill, Ontario on September 29th, with free underground parking. The show features a huge selection of vintage 80s toys and all the latest releases from today such as Transformers (vintage and Japanese imports), Masters of the Universe (vintage and modern), Star Wars (new and vintage), GIJoe (vintage and modern), Super Heroes (Marvel Universe/Legends, DCUC etc), Power Rangers, Wrestling, and tons of other Action Figures and collectibles. Like AFX on Facebook and follow AFX on Twitter for the latest news on this event and a chance to win free tickets! The 501st Canadian Garrison and Ontario Ghostbusters will be joining them for free photo ops. To get more information check out http://www.actionfigureexpo.com/ and RSVP to the Facebook Event. Don’t forget to keep November 3rd, 2013 free because the Montreal ToyCon will take place as planned.